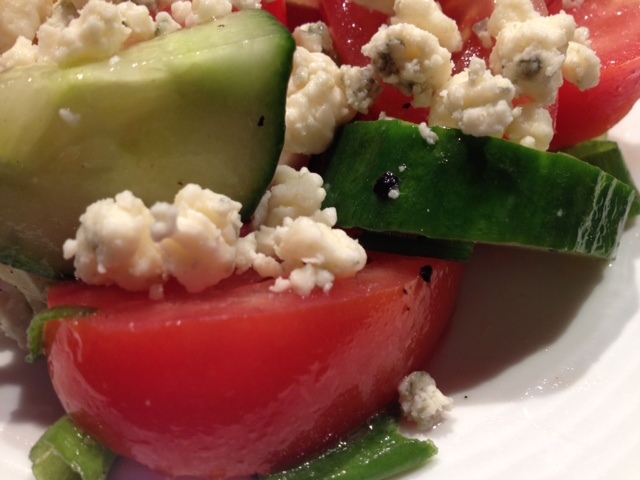 This is my version of a Greek “villager” style salad. 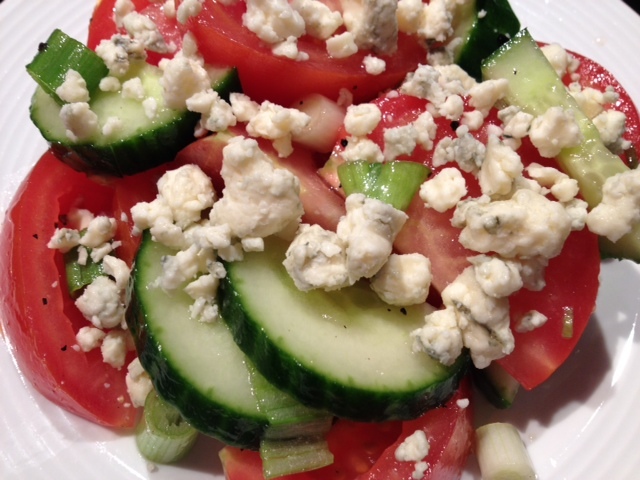 I made some slight adjustments from the traditional recipe, including substituting green onion for red onion and gorgonzola for feta. This salad is incredibly easy, taking just minutes to prepare, and is full of bright and bold flavors. 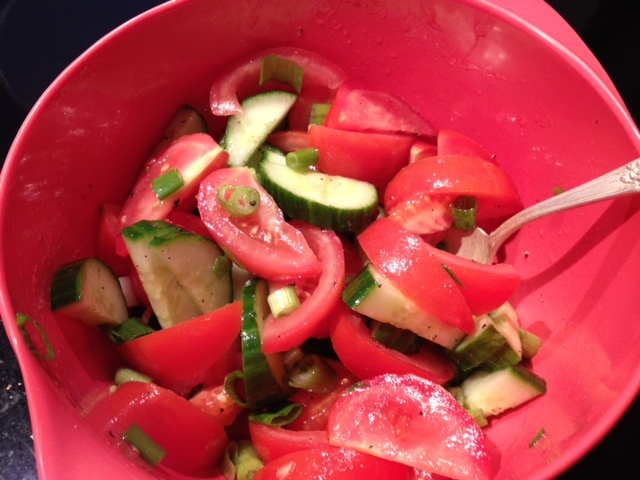 Combine the tomatoes, cucumbers and green onion in a large bowl. Add in the vinegar, olive oil and a dash of garlic salt and black pepper. Toss to combine the veggies and then plate. 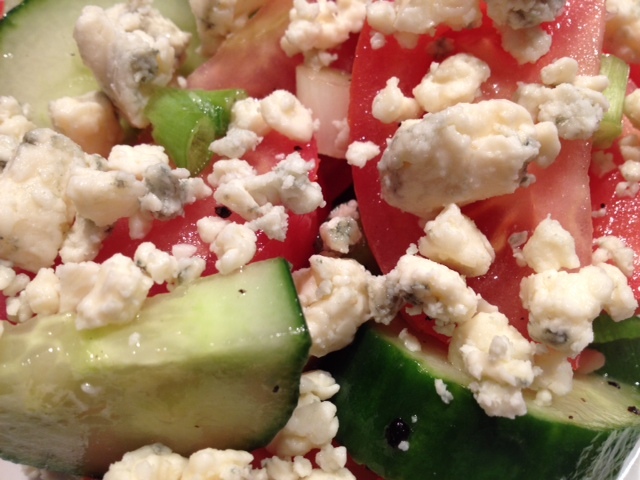 Add the crumbled Gorgonzola over the top of the salad and serve.